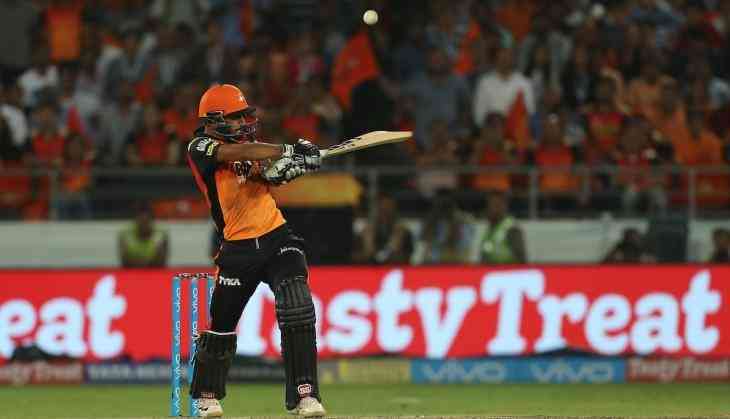 The seventh match in the 11th season of IPL had played between Mumbai Indians and SunRisers Hyderabad in which the orange army defeated the Mumbai Indians by 1 wicket. Mumbai Indians that went to bat first after losing the toss set the target 148 runs for Sun Risers Hyderabad. SRH who was chasing the total achieved it in the last over thriller. From Hyderabad side openers Shikhar Dhawan and Wriddhiman Saha played a strong partnership of 62 runs that helped the team to get a strong start. 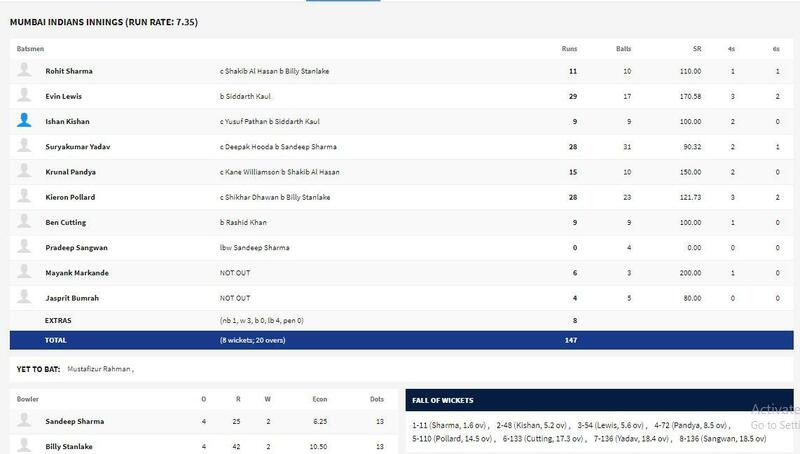 Saha played 22 runs inning, besides him, Shikhar Dhawan played 45 runs inning in 28 balls with the help of 8 fours. After this other players like skipper Kane Williamson, Manish Pandey, and Shakib-Al-Hassan didn't do much for the score. After them, Indian player Deepak Hooda handled the situation and the innings and made 32 runs on 25 balls. SRH needed 1 run on the last bowl of the match then the striking batsman Stanlake hit four and assured SRH's win. Earlier, Mumbai Indians came to bat first and the team made 147 runs in the first inning, in which MI Paltan's batsmen like Keiron Pollard, Suryakumar Yadav, and Kevin Lewis helped MI to set the defendable target. However, the luck was in the favour of SRH and they won the match. Now in the current scenario, SRH has won its both matches, whether MI had last both matches.